It's hard to believe that we graduated over 41 years ago! It doesn't seem that long since we were selling Batman buttons, Rebel stickers, Confederate flags, etc. to pay the costs of better printing and photos for our award-winning newspaper, the Confederate. Vickie Arnoldi was the editor, and Kathy Todd and I (Susan Miller) were the co-editors of the editorial section. 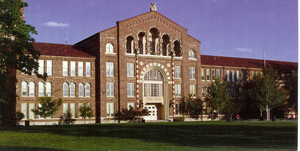 I just found a website for the South High Class of 1967 at http://www.classreport.org/usa/co/denver/shs/1967 on April 26, 2007. I posted my current name, address, telephone number, and email address that day. There was no information at that time about a reunion. I received a phone call on July 10, 2007, from a classmate with whom I had not spoken since graduation. A 40th reunion had been scheduled for September 28-29, 2007. Although I was unable to attend the reunion, I enjoy seeing the photos posted at the above website as well as news and periodic updates from some of my classmates. I left Denver in January 1971 and had no contact with most of my high school friends after that. I highly recommend registering at this great website - http://www.classreport.org. It has links to graduating classes all over the United States and even in other countries. If you were a 1967 graduate of South High School in Denver, the exact link is http://www.classreport.org/usa/co/denver/shs/1967.